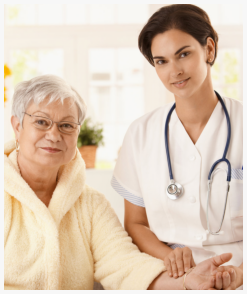 Homebound eligibility is not affected by frequent absences from the home when the reason for leaving is to receive medical care, provided the home health services could not reasonably be provided by the other medical care providers. The new definition explicitly allows absences from home to participate “in therapeutic, psychosocial or medical treatment in an adult-day-care program that is licensed or certified by a state.” Such absences will not be considered violations of the homebound criteria. Additional clarification includes that absences to attend religious services will be considered an “absence of infrequent or short duration,” and allowable under the homebound definition. The patient must be enrolled in the Medicare program during the time the services are provided and be eligible for benefits. A Medicare-certified agency must provide services. 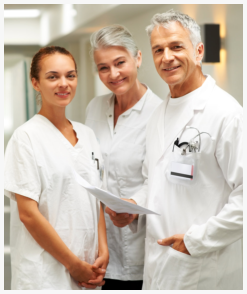 A physician who establishes and periodically reviews the plan of care at least every 60 days must order the services. 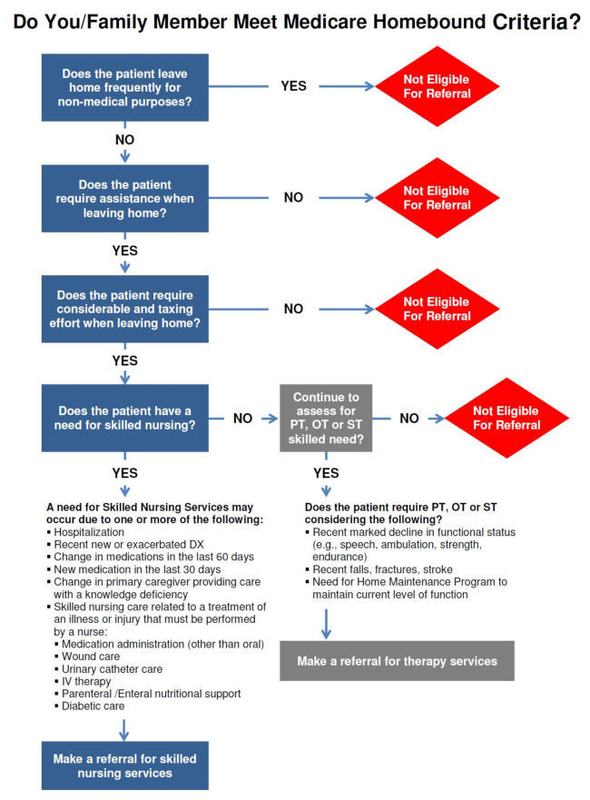 Services must be provided in the patient’s place of residence. The services must be medically reasonable and necessary to the treatment of an illness or injury. If at least one of the qualifying services is needed, Medicare covers the following services: home health aide services, medical social services, medical supplies, and durable medical equipment and supplies.